Emily Henderson is a superstar stylist, and differing from fashionistas like Rachel Zoe and Nicole Chavez who style celebrities for the red carpet, Henderson brings fresh looks to homes. Emily Henderson is a style guru of what’s hot and what’s not in home furnishings; her expertise ranges over a multitude of looks, from funky to modern to retro chic. Henderson is an extremely talented creative force in the props and home furnishings department, and her imagination has thrived since childhood. Growing up in Oregon, Henderson lived in a household where they often reupholstered their own furniture and fashioned their own clothes. After she graduated from the University of Oregon, Henderson set across the country to continue her studies at The Pratt Institute in Brooklyn to study industrial design. Today, she is a celebrated interior designer, decorator, stylist and host of her own show on HGTV, "Secrets From a Stylist." Read on for five reasons why College Gloss loves Emily Henderson. 1. Emily Henderson is a Design Star! "Design Star" is an HGTV competition that follows 12 interior designers through unique (and sometimes odd) challenges, who have to design a space using specific items given to them. At the end of each season, one winner is chosen to have their own HGTV show, and Henderson was the winner of season five. Henderson brings her upbeat personality and elegant and eclectic style to her show, "Secrets From a Stylist." On the show, she caters to her clients’ ideas and thoughts about creating their perfect living space, combining both her sense of style to that of her clients’ likes. Every space that she revamps on the show has its own unique character and its own personal "Design Star" touch. Emily Henderson’s fashion and furnishing style expertise is inspired from many different outlets, especially when it comes films and the work of production designers. After reading Henderson’s thoughts and expressions of the use of props, moviegoers and fashionistas alike, will have a newfound appreciation for how props and sets help to set the tone for the story in a film. As Henderson has put it, “Production designers and set decorators are wildly underappreciated... Next time you watch a movie, please take note. It’s their job to help the story along, not to distract from it so we often don’t notice the sets.” Henderson is especially inspired by the sets of films like "A Clockwork Orange," "Marie Antoinette," "Down With Love," "500 Days of Summer" and "Atonement." Though "Secrets From a Stylist" brings a fun, youthful flair to HGTV, Henderson’s styling advice isn’t just put to use on television. She is the founder and writer of daily blog Style by Emily Henderson, and she has her own design firm in LA, where she helps many clients revive a space into something new, bold and exciting. Henderson said, “As a home style expert, I consult with brands, art direct photo shoots, and promote my brand and brands I love through my social media channels.” On top of all of this, Emily Henderson is a contributing editor for Buzzfeed and the Huffington Post. Emily Henderson is a talented and trendsetting interior designer, and her home styling skills have been showcased on television and in publications like Martha Stewart, InStyle and Elle Decor and for advertisements of companies like Anthropologie and Target. 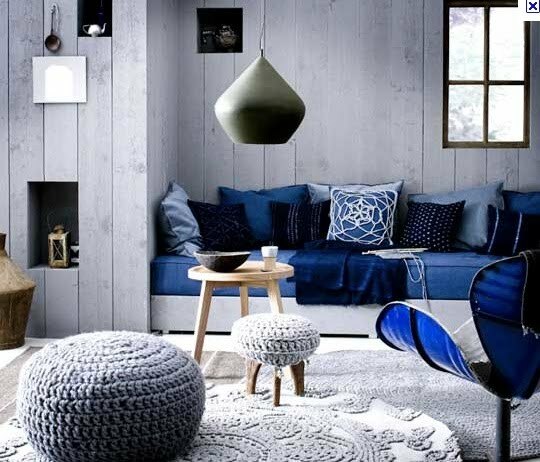 Whether it be a house, an apartment or a dorm room, every living space could use a bit of feng shui every now and then. Henderson has inspired College Gloss to breathe some new life into designs, and her ideas and style tips and tricks are sure to jumpstart anyone’s latest home makeover project.